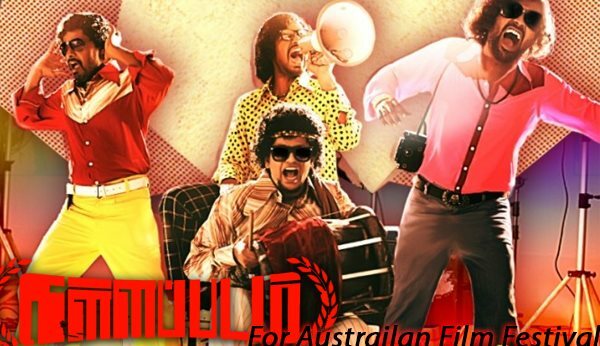 Upcoming Tamil film "Kallappadam", a story about how first-timers try and make a film, has been chosen in the foreign feature film category in the upcoming Revelation Perth International Film Festival and the Melbourne Underground Film Festival. While Revelation Perth International Film Festival will take place from July 2 to July 15, Melbourne Underground Film Festival will happen between Sep 11 and Sep 20. Sharing his excitement, the film's director, tells us, "We are very glad our film has been selected for the Film festivals in Australia. Kallapadam has been selected in the foreign feature film category. We very confident that this commercial film's content would interest the juries of the film festivals. The film is about youngsters who strive hard for their first opportunity to achieve." "Kallappadam" features the film's director, editor, cinematographer and music composer who play themselves in the movie. Actress Lakshmi Priya Chandramouli essays an important role as a struggling heroine.